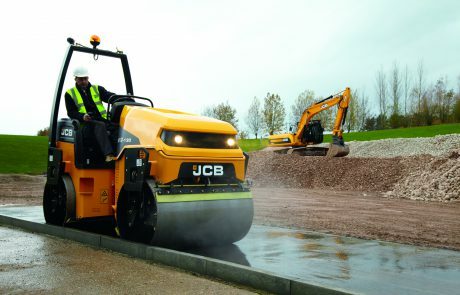 JCB’s vibratory tandem road rollers are designed to be class leaders, developed for reliability, low cost of operation, operational safety, serviceability, maneuverability, performance, operator comfort and best-in-class durability. 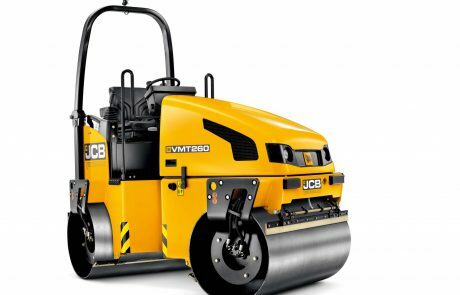 Weighing 3628lb (1650kg) and powered by a Kubota 23hp (17kW) motor, the VMT 160-90 is our smallest road roller. It has an operating width of 38.6in (980mm) and generates centrifugal forces of 5845 to 10,116lbf (26 to 45kN). There’s an adjustable seat for comfort and productivity. 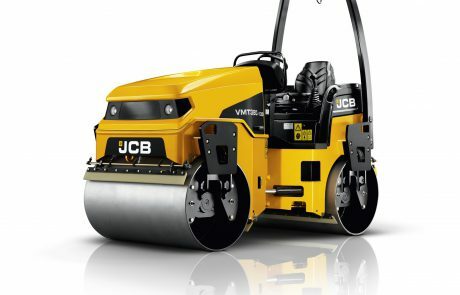 To ensure maximum productivity, we’ve designed the VMT 160-90 road roller with performance to the fore. That’s why it comes equipped with concentric machined drum surfaces, a pressurised filtered water spray system, the largest fuel tanks in the industry, and automatic vibration control with manual override. Not only that but this roller compactor has single-piece circular eccentric shafts for high performance and durability, a high vibration frequency for fast rolling speeds, and a high curb and side clearance. Hydrostatic front and rear drum propulsion makes the VMT 160-90 road roller even more productive. 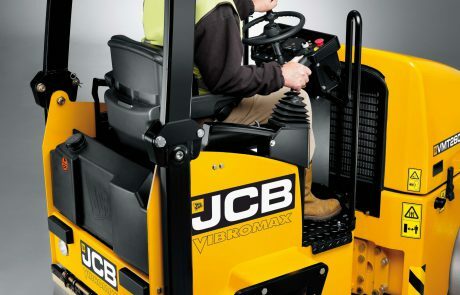 There’s even switchable drum vibration; choose from double, single front or single rear configurations. The model is even more flexible through its optional 2.6 in (65 mm) drum offset. 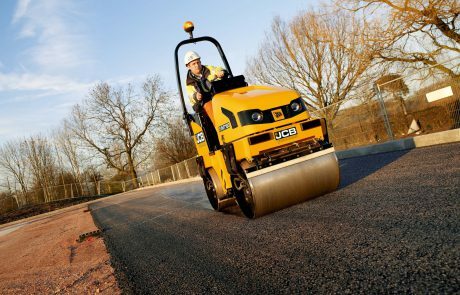 To keep the VMT 160-90 road roller productive for longer, we’ve designed it to be easily serviceable and highly durable. That means comfortable driver stands with extremely low vibration levels, front-to-rear-frame oscillation for stability, oil splash lubricated vibration bearings, class-leading service access (including a lightweight hood), maintenance-free center joints, and exceptional hose and piping protection. There’s also spring-applied, hydraulically released parking brakes and spring-loaded, adjustable vulcolan scrapers on each drum. 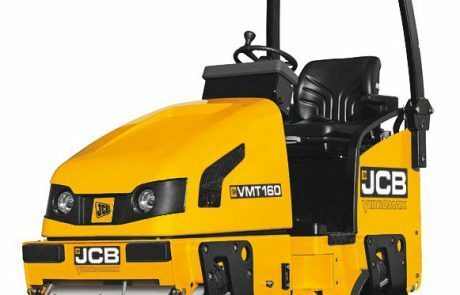 What’s more, to make sure every VMT 160-90 road roller is ready to roll when it leaves the factory, we bench test each individual machine as part of an intensive test-run. 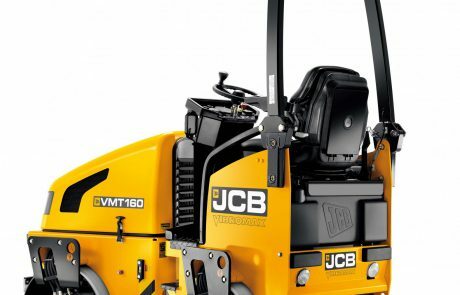 Weighing 5379 to 6724lb (2440 to 3050kg) and powered by a Kubota 32hp (24.4kW) motor, the VMT 260-100/120 has an operating width of 39 – 47in (1000 – 1200mm) and generates centrifugal forces of 5845 to 10116lbf (26 to 45kN). There’s an adjustable seat for comfort and productivity. Weighing 8267 to 8488lb (3750 to 3850kg) and powered by a four cylinder 45hp (33.6kW) motor, the VMT 380-130/140 has an operating width of 51.1 to 55.1in (1300 – 1400mm) and generates centrifugal forces of 13264 to 14163lbf (59 to 63kN). There’s an adjustable seat for comfort and productivity. Amplitude of 0.01in (0.44mm) gives maximum compaction depth, 42% gradability is class-leading, there are three throttle detent positions and even switchable drum vibration; choose from double, single front or single rear configurations. Weighing 9259 to 9480lb (4200 to 4300kg) and powered by a four cylinder 45hp (33.6kW) motor, the VMT 430-130/140 has an operating width of 51.2 – 55.1in (1300 – 1400mm) and generates centrifugal forces of 13,264 to 14,163lb (59 to 63kN). There’s an adjustable seat for comfort and productivity. Amplitude of 0.01 in (0.44 mm) gives maximum compaction depth, 42% gradability is class-leading, there are three throttle detent positions and even switchable drum vibration; choose from double, single front or single rear configurations. To keep the VMT 430-130/140 road roller productive for longer, we’ve designed it to be easily serviceable and highly durable. 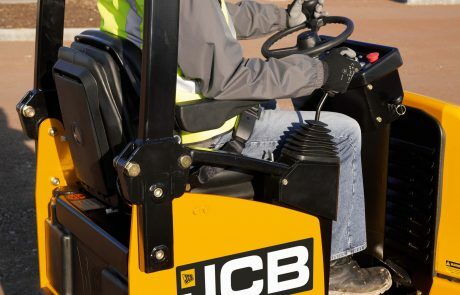 That means comfortable driver stands with extremely low vibration levels, front-to-rear-frame oscillation for stability, class-leading service access (including a lightweight hood), maintenance-free center joints, and exceptional hose and piping protection. Plus the drums come with pre-loaded rubber mountings for increased component life-time and protection of hydraulic installations at the drum.